If the Supreme Court’s decision to uphold the order of the Commission on Higher Education (CHEd) to exclude Filipino and Philippine literature courses in college proves anything, it is only the severe consequences of K to 12 to our national identity and to the future of our country. 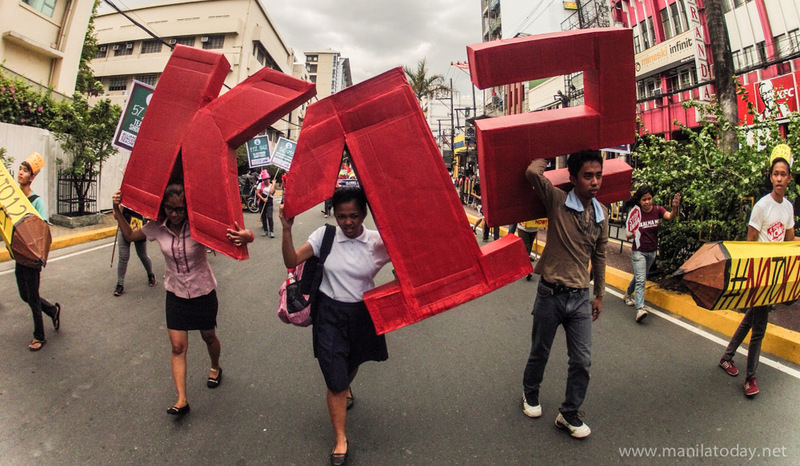 Since its inception, ACT Philippines has consistently expressed opposition to the K to 12 program due to its neoliberal and colonial orientation. It aims to classify the Filipino youth into two categories—on the one hand, the ‘less fortunate’ to finish Grade 12 and serve as an army of cheap labor and semi-skilled workers, and on the other, the ‘lucky’ few who will make it through college and specialize in various fields—both meant to serve foreign capital. K to 12 has weakened the pedagogy of nationalism and thrust of serving the people. Among its first casualties was Philippine History, which had earlier been removed from the junior high school curriculum. Significant events in history, like the Phil-Am War and Marcos’ martial law, were inadequately and sometimes even incorrectly discussed in teaching modules and textbooks. Important literary works are reduced to mere summaries or worse, used only as contexts in the study of foreign literature and culture. While learning about our own language devaluates, studying foreign languages is encouraged, such as in the case of the Korean language which will be taught in 10 National Capital Region (NCR) schools. Access to education became more difficult under K to 12. According to the Department of Education (DepEd), more than 4 million youth are out-of-school. The number of drop outs swelled after the government, instead of establishing new schools, turned over senior high school education to private schools through the voucher system. Handing public funds over to private institutions have been deemed anomalous as millions of students continue to struggle to afford expenses which are not covered by the vouchers. K to 12 worsened the quality of education in the country. The addition of two years in high school stretched the already tight education resource. The inadequacy in classrooms, books, teachers, and other materials was furthered. Not a few teachers have lamented the ineffectiveness of K to 12 curriculum in the development of students. K to 12 is a calvary to teachers. Aside from heftier work, it also threatens the job of 10,000 teachers of Filipino and Philippine Literature in the tertiary level. Transferring Filipino teachers in college to teaching in senior high school is not a solution. This has been done to many teachers in several universities and it has only resulted to diminution of salaries coupled with heavier workload. K to 12 fails to even fulfill its own promises of fast and easy employment for senior high school graduates. Just this March, the business sector rejected senior high school graduates because they allegedly failed to meet industrial standards. In its 8 years of implementation, K to 12’s disastrous effects to the youth, the education system, and the future of the country has become evident. The K to 12 program must immediately be junked. The country needs a nationalist, scientific, and mass-oriented education that values language, literature, and history which would serve as a powerful tool for social transformation towards the creation of a free, peaceful, democratic, and developed Philippines. For more information, you may contact ACT Secretary General Raymond Basilio 0917 593 1202.